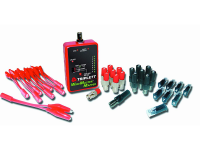 The Fox & Hound™ HotWire™ is a live circuit tracing kit that consists of a versatile Fox HotWire™ Tone Generator (Toner) and a high performance Hound HotWire™ Inductive Amplifier (Probe). 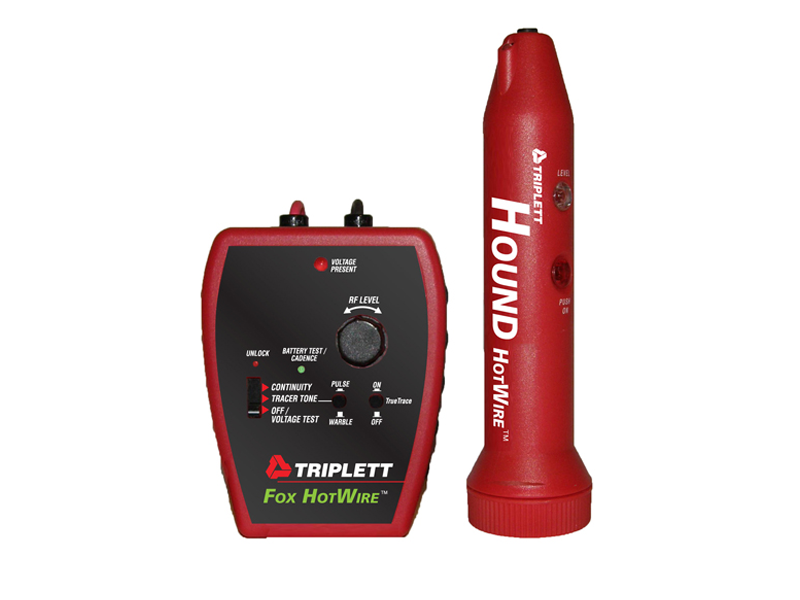 The Fox HotWire™ can powered by a 9 volt battery for Low Voltage tracing or it can be powered by the High Voltage line it is toning. 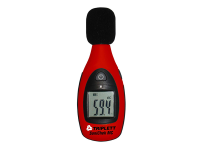 The Fox HotWire™ can generate multiple tones (Pulse or Warble), provides a visual and audible continuity test, and integrates our own True Trace and TripLatch tests while providing overload protection up to 250 VAC. 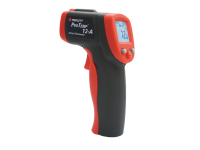 The Hound HotWire™ is a battery operated handheld lightweight Probe, with a thumbwheel Sensitivity control and Signal Strength indicator LED. 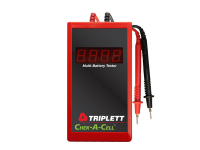 It has a built-in LED headlights to illuminate dark areas and reduce fluorescent light noise, a bandpass filter to suppress unwanted frequencies, an earphone jack for noisy or quiet work areas, and an easy access battery cover. Size: 3 ½" x 4 ½" x 1 ½"